Recently we haven't been having much fun as a family, what with moving house and my morning sickness it's all been a bit hectic and not much fun for Bubba. 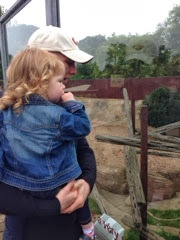 For a while we have wanted to go back to a Zoo and I've always loved Colchester Zoo so as the weather wasn't going to be too bad we decided Sunday was our day. I managed to use my Tesco clubcard points for the tickets (well worth doing as I had £10 worth of points which turns into £40 worth of 'Days Out' vouchers). 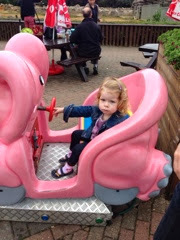 This paid for our entry as its £19.00 per adult and under 5's go free anyway...so that was a day out for nothing. We live in Kent so it took us an hour and a bit to get to Colchester Zoo and it's well sign posted as you get closer to Colchester. The carpark is free and when we got there at 11am we easily found a space and it was a few minutes walk into the ticket office, once inside the queue was small and before we knew it we were inside the Zoo and looking at the wonderful Sun Bears. The great thing about this Zoo is that it's lots of winding paths and something around every corner and at no point did we feel like there were swarms of people and could easily see the animals we wanted to see. They also have handy yellow pathways which are an easier route for buggy's and wheelchairs. We walked down to the far corner of the Zoo first to see the big animals as these are Bubba's favourites, especially the Elephants, Giraffes and Rhino's. They didn't disappoint and were all out in the open so I got some great shots of them. 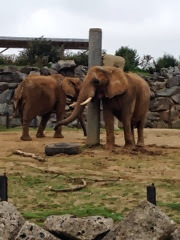 Next we went to the discovery part of the Zoo where you can get up close to some of the animals. We walked around inside the Goat area, where the goats can walk with you and you can stroke them...this ended up freaking me out (although Bubba and hubby were fine). The Goats realised I was pushing a pram and it had our snacks in the bag so I obviously became a target! Apart from that they were all friendly and at no point did I worry about Bubba (too busy worrying about my own safety)! It's good because there are lots of reminders to wash your hands and lots of facilities provided once you are outside of the pens. After looking around a while longer, we headed for some food - although I had prepared sarnis to take with us, I reasoned that we may need them for the journey home if we got stuck in traffic. Bubba and I found chicken wraps and Hubby got himself a hot dog and we sat at one of the many out door picnic areas (they also have lots of indoor picnic area's if its raining). The food was pricey for what you got but nothing compared to London prices so if you are a big family it's definitely worth taking your own food as it all mounts up - but these days where doesn't it? All the animals along the way seem happy and settled in their enclosures and lots you had to really look to find them as the Zoo tries to replicate their natural habitats so they aren't always 'on show'. There are also lots of rides for little kids and a huge play area where older kids can let off a bit of steam. We didn't venture in as Bubba is on the small side and gets frustrated when she can't go on big kids things. This was slightly distracting at times as it was a shame that Bubba might be more interested in the mechanical pink elephant instead of actually looking at the real elephant but I guess that's the mind of a two year old! 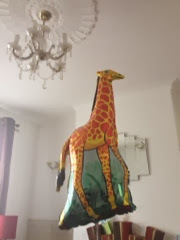 We even came home with a reasonably priced balloon, shame it wasn't smaller though as out new friend 'Jeff' the giraffe is rather big! He had to travel home in the boot of the car and now he constantly gets in my way as he bobs around our living room.